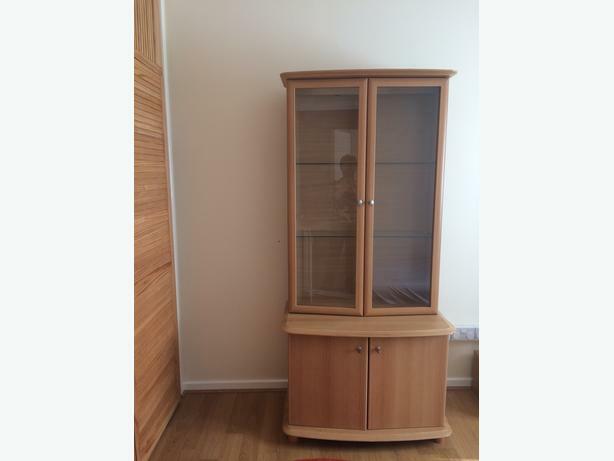 Glass front storage unit with two glass display shelves, double glass doors and lower two door storage space. Ideal for storing books or displaying collections. Some wear on corners, hence price.